This course is an additional A Level in Mathematics, expanding upon the many areas of study met in A Level Mathematics. A genuine love of maths and an enquiring mind are essential for students wishing to take this course. You must be confident with the algebra studied at higher level GCSE and show an enthusiasm to overcome the challenges that A Level Further Mathematics provides. This course can be studied as either an AS Level or A Level qualification. The content of A Level Further Mathematics splits broadly into the two strands of compulsory (Core) Pure Maths and Further Applied Maths. 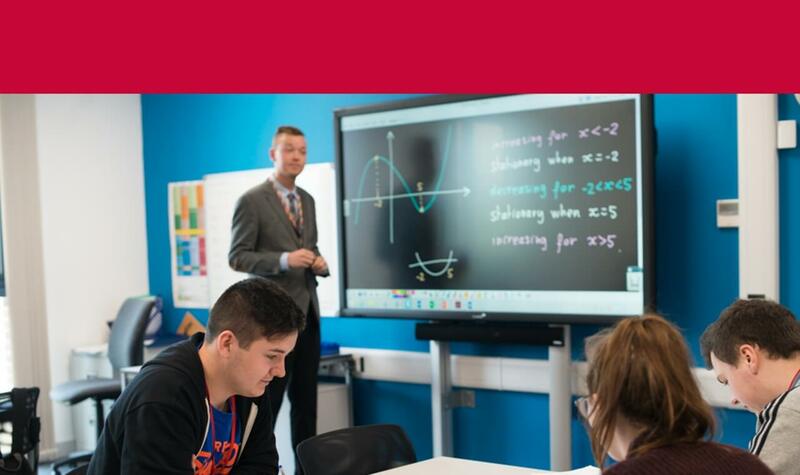 Core Pure Maths: This builds on the knowledge and understanding of algebra from GCSE and extends the content introduced in A Level Mathematics. You will meet new topics such as complex numbers, matrices, proof, hyperbolic functions, polar coordinates and further calculus. The Further Applied content will be chosen from additional Mechanics and Statistics options as well as a relatively modern branch of maths known as Decision Maths. 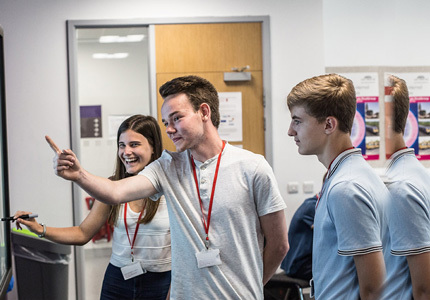 Decision Maths: You will learn how to solve problems involving networks, graph theory, linear programming and a range of algorithms which enable particular problems in science, business and industry to be tackled using a very modern approach. GCSE Grade 8 or above in Mathematics (plus a maths entry test). Since A Level Further Mathematics is a second A Level in maths, you must also be studying A Level Mathematics alongside this course. In most cases we would expect A Level (or AS Level) Further Mathematics to be taken as a fourth A Level course. Students will need to purchase a specific calculator for the course: Casio FX991ex. You will deepen your understanding of mathematics by discussion and group work as well as independent research and practical work. For AS Level there are two exams: Core Pure Maths and Further Applied Maths. All candidates will sit these exams at the end of the first year to assess their suitability to progress onto the A Level course. For A Level there are three exams: two Core Pure papers and one Further Applied paper. The content from both years of study are examined in these three papers. A Level Further Mathematics is a highly regarded and prestigious subject. Many university degree courses in mathematics, physics and engineering now ask specifically for Further Mathematics to at least AS Level. Graduates go on to have a range of careers from accountancy and computing to scientific research and medicine. After graduating with a first-class Master’s degree in Maths and Statistics from Newcastle University, Lane worked in finance before completing a PGCE at the University of York. We are delighted that you are interested in studying with us. With a 99% overall pass rate in 2017, we are proud of our success. Our students achieved a 100% pass rate in 21 subjects, including History, English, Chemistry, Geography, Sociology and French. 9 out of 10 of our students achieved three or more A levels. 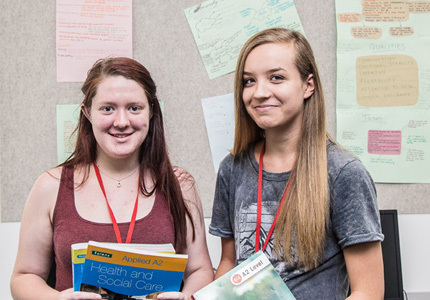 We are confident that we have a range of A Level courses suited to students of all abilities. Take a look at what we have on offer and when you’re ready to apply you can do it online using the button below. You do not need to apply for individual A Levels – these will be decided when you come for your interview. Some subjects have their own additional entry requirements; please look at the subject pages for details.